The IvacyVPN is one of the oldest VPN-service companies. The company’s official website says: “We are making the digital world safer and more accessible for everyone”. The IvacyVPN follows this words. “Split Tunneling”, that allows users to control a data sending way, was developed and run for the first time by IvacyVPN’s team at 2010 (as it claims on its website). IvacyVPN was founded in Singapore at the beginning of the age of VPN-providers. Since 2007 its name became well-known due to the Internet and is ranged until now. IvacyVPN’s team is small but full of energy so it will become a part of the free digital world. Now it’s more than 270 VPN-severs, placed in 100+ locations around whole the earth. 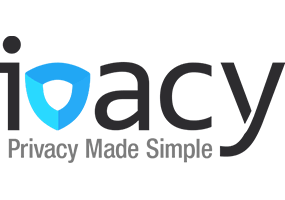 Despite the internet censorship that is implemented around the world, IvacyVPN “engineered the best VPN service to help millions of users” to benefit from true internet freedom. The default features allow IvacyVPN’s clients overcome speed throttling and stop tracking, access geo-locked content and by-pass firewalls to stay anonymous online. With IvacyVPN there are no restrictions on watching Netflix, Kodi, BBC iPlayer. “We believe in full online freedom, along with impenetrable security for our users” they said. Security and privacy of the user are provided by utilization 256-bit military-grade encryption, advanced VPN-protocols like IPSec, IKEv2, OpenVPN, SSTP, L2TP and high-level effective features like IPv6 Leak Protection, Internet Kill Switch and Secure DNS. However, there is a rule of No Logs Policy, the company also use its own DNS-server to protect users from DNS-leak tracking. There are no speed, traffic or other limitations. For P2P-file sharing fans specifically optimized servers run, which allow getting the maximum download speed in the specific location (now more than 21). Apps from IvacyVPN are compatible with all popular devices, like PC, laptop, tablet, smartphone etc. The next IvacyVPN’s feature is Smart Purpose Selection, which takes care of the newbies and not savvy users. It configures VPN according to user’s preferences. The website with user-friendly interface and a lot of useful information is also comfortable for using. IvacyVPN’s customer support is provided 24/7 via email, phone, Skype or live chat. A large Knowledge Base with FAQ and many tutorials and guides are available. IvacyVPN worthy of your note? The short answer is “yes”. It is for those who look for the cheapest VPN-service with good features, rather than the fastest download speed and the highest level of the reliability.